Amid the mass of coverage spewed out by my radio the day after the election, I was struck by one voter’s reason for rejecting the incumbent Tory government. It was the Tories’ plans to repeal the hunting ban, he told the interviewer; he just couldn’t stomach them. The hunting ban, which became law under a Labour government in 2004, put an end to a ritualised blood sport that had become popular, with its red jackets and ceremony, in the eighteenth and nineteenth centuries. 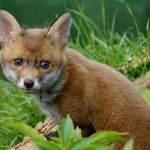 In recent elections the Conservatives have generally supported the repeal of the Hunting Act, with May promising a free vote this time around. But with issues like Brexit and Austerity at stake, you would have thought it would be a pretty minor election issue. Yet hunting seems to have had a significant influence on voters. According to one poll, half the electorate felt that a candidate’s position on hunting would affect the way they voted, while other research suggested that keeping the ban was Labour’s most popular policy. Corbyn no doubt expressed the feelings of many supporters when he characterised hunting as a ‘barbarity’. Why such strong feelings? I think that hunting is one of those symbolic issues which plays into our sense of who we are and who we want to be. A distaste for violence, along with a growing awareness of the natural world and our impact on it, is central to the values of a modern western society. Add to that the fact that the British, as the enduring popularity of Springwatch shows, are a nation of animal lovers, and it’s clear why the re-legalisation of a bloodsport would be seen as retrograde. Foxes, as the hunters of live animals prey of choice, seem to arouse particularly strong feelings. In books they tend to appear as either villains or heroes – as the shyster in Beatrix Potter or the Robin Hood-style family provider in Fantastic Mr Fox. These attitudes manifest into equally polarised human behaviours, with tabloids reporting ‘attacks’ by urban foxes on the one hand and extraordinary attempts by animal rescuers to help foxes on the other. For me, this election campaign has coincided with a chance to experience the world of animal rescue at first hand. At Secret World Rescue Centre I’m learning how orphaned foxes are reared and, once fully grown, returned to the wild. In particular, I’m following the fortunes of one trio of cubs who illustrate the extremes of attitudes towards foxes. With their (still lactating) mother shot by a neighbour of the land where they had their den, the cubs are now being cared for by other humans. It’s tricky work because human contact needs to be kept to a minimum so that the foxes will remain wild enough to survive in an environment in which humans – ban or no ban – remain a key predator. If all goes well, by the end of the summer the cubs will be released into the wild, as will, soon afterwards, a short book telling their story. Meanwhile, I hope that May, for as long as she’s around, will have more on her legislative plate than creating more vulpine orphans. To be notified about the publication of Little Foxes: A very British story (working title) leave your email in the box above.